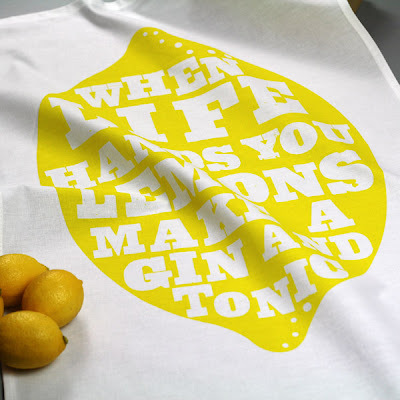 MAKE GIN AND TONIC!! Amazing words of wisdom from the wonderful Dear Colleen. 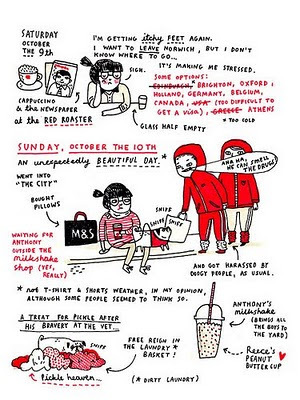 Well, you probably already know that both Dave and I have a big ol’ design crush on Gemma Correll. 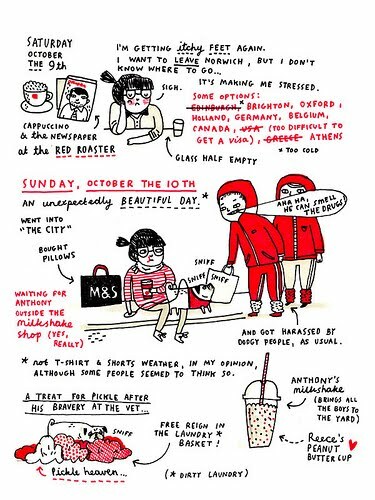 Her work tickles us pink every time we see it; we love her illustrations of pompous cats and super-cute pooches, and are hooked on her addictive daily diaries (we still feel ridiculously proud to have been featured in one of them). Tell us a bit about yourself... Who are you, and what do you do? I'm Gemma and I am a freelance Illustrator. 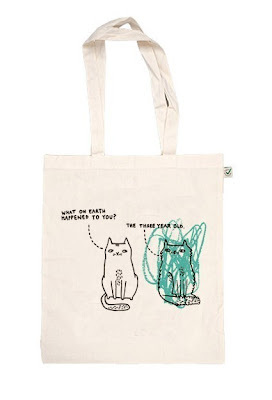 I draw pictures and I also design and make things like tote bags and greetings cards (and tea towels!) 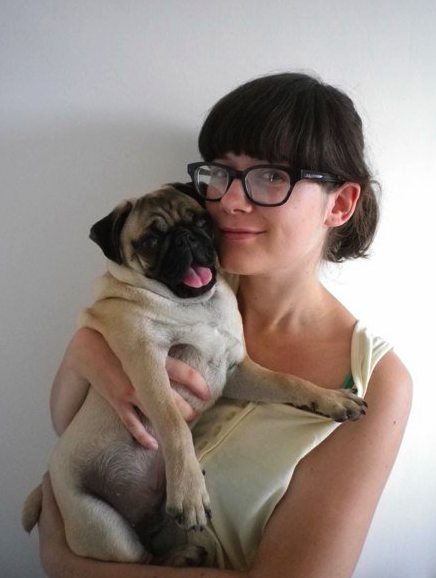 I have a Pug called Mr (Norman) Pickles and I live in Norwich for the time being, although I'll be moving away fairly soon... hopefully. 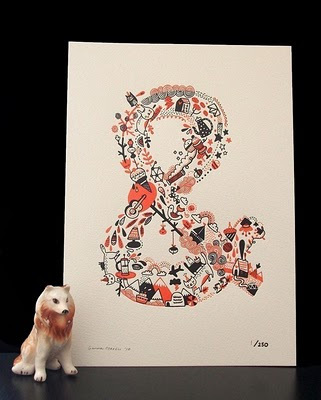 When did you first realise that you wanted to work as an illustrator for a living? I knew when I was very young (about five) that I wanted to draw pictures for a living, although I hadn't heard the word "Illustrator" at the time. I used to draw all the time at home and at school. I would always make the posters and flyers etc. for School plays and fêtes and I also, geekily, had my own page in my parent's Church's Newsletter. It was called "Kidz Korner" ....CRINGE. I also made a comic called The Chatterbox while at Primary School. I was most interested in combining illustration and stories - narrative illustration, if you will. What’s your favourite thing to draw and why? I'm torn between cats and pugs. I like drawing cats because I've had a lot of practice (I've been drawing them for years and years) so they come quite naturally to me now. 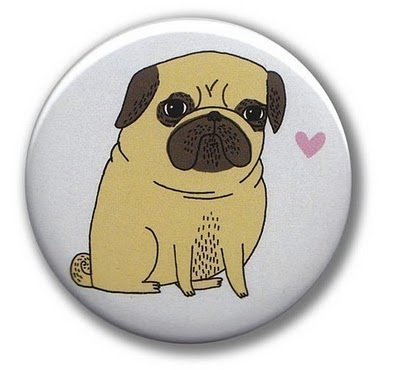 But Pugs are fun- they have silly faces and wrinkles and curly tails, which are perfect for drawing. Plus, I have the best muse ever in Mr Norman Pickles. Which other people working in the same industry do you admire the most? Oh, there are so many! I never cease to be amazed (and slightly intimidated) at the number of super-talented people out there... But, let's go with: Meg Hunt, Mel Stringer, Jeffrey Brown, Tom Gauld, Harriet Russell and Camilla Engman, to name but a few. If you weren’t an illustrator, what do you think you’d be doing instead? I'd probably be a Teacher. I was a special needs TA for two years but in the end, I had to make a choice between that and illustration. It's something that I will probably go back to in the future. What’s the hardest thing to illustrate, and why? Anything that I don't draw or look at very much. For example, I had to draw a gun yesterday and my first attempt looked like some kind of malformed banana. I also find cars quite difficult to draw. I'm working on a really fun project at the moment, but it's top secret! I'd be a Pug, naturellement. 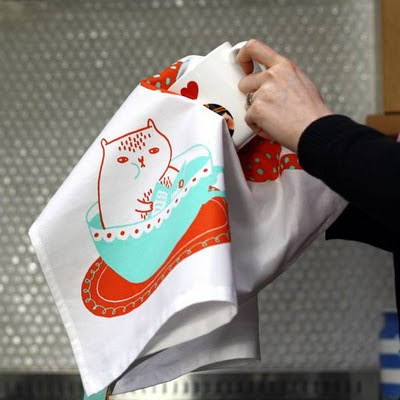 And finally, who does the washing up in your household (and do they use your ‘Tea Time’ tea towel)? Me and Anthony both do it - but Mr Pickles helps (by snuffling around our feet). We don't use the Tea Time tea towel (I don't often keep my own products) but I know that my grandmothers both use theirs (they got one each for Christmas last year). Kate!! Combining a lamb dinner, cheese sauce, and Blackpool Illuminations, she had us at hello! Do get in touch with us Kate, and let us know where to send your goodies! !